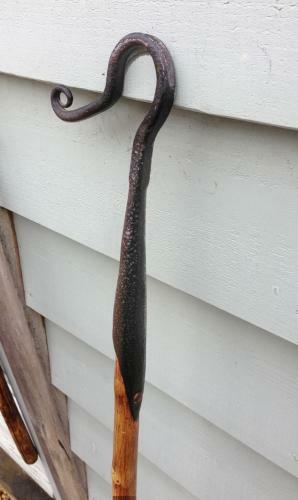 • Antique Shepherd's Leg Crook - nicely made. • Crook C in the multiple pic. • County not known but came from Suffolk. • Original rustic shaft (could be Holly).